The ever-increasing residential demand has caused the city to expand its boundaries to the southwest and the southeast where a host of housing schemes have cropped up over the past few years. Some of the housing schemes have established backgrounds, while others are new entrants into the market. Looking up a safe and promising housing scheme to invest among the host of schemes is the most important job of an investor or a consultant. We have worked out five best investment opportunities for general property investors in Islamabad. The important factors we have considered for the selection of these housing schemes are the background, development status, current prices, location, major developments in the area, investment trend, and the price history. We have jotted down few details of these housing schemes for the general information of investors. D-18 is the area beside the CDA Sector D-17. D-18 doesn’t fall under the CDA, yet it is termed as the specified area of Islamabad. Three housing schemes operate in this sector, namely ECHS, AWT and Wapda Town. Wapda town, in fact, doesn’t fall completely within D-18, yet some of its area lies closer to AWT which is considered to be under D-18. All three housing schemes can be considered for investment. We will shed some light on all of these housing schemes. AWT is the abbreviation of Army Welfare Trust. This is a reputable organization of Pakistan Army which is involved in many business sectors of Pakistan. Some of the important business sectors managed by AWT are real estate, finance and agriculture. We have pointed down some facts about AWT Housing Scheme in D-18 Islamabad. Wapda town is the short name of Wapda Employees Cooperative Housing Scheme which has its strong background of housing development in Lahore. Wapda town is still in its initial stages of development, so it is considered a good long term investment. We have given some facts about the society below. Multi Gardens in Sector B17 lies on G-T road and it is a proper CDA Sector. 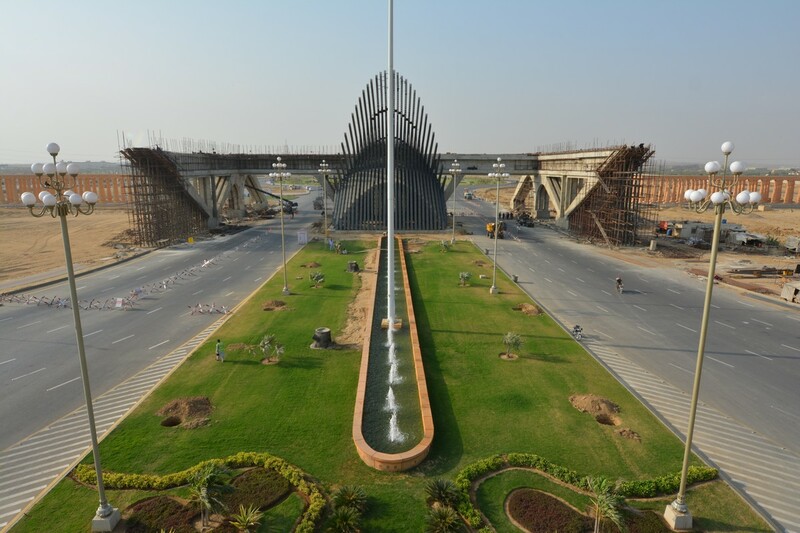 It is being developed by Multi-Professionals Cooperative Housing Scheme (MPCHS) which is a renowned name in Islamabad real estate sector and has a history of successful housing schemes like Islamabad Gardens in E-11 and Tele-Gardens in F-17. We have jotted down some points for general information about b-17. PECHS is located on fateh jang road. Its phase 1 was developed by PECHS itself but developments standards are not so high. Phase 2 which includes K and M blocks is being developed by EXTOL, which is a third party developer. Development standards in K and M are higher than previous blocks. It is the closest housing scheme to the New Islamabad Airport; hence its investment volume and prices are directly proportional to the development status of the Airport. Some facts about PECHS are listed below for general information about the society. The above listed housing schemes are safe as per our understanding. These housing schemes have good profit potential in 2014 due to the major developments which will be completed or will be close to completion this year. There are few more housing schemes in Islamabad Zone 2 that you can also consider for investment like Cabinet Division Housing Scheme in E-16 and E-17, Faisal Town (F-18), Gulshan-e-Sehat (E-18), Tele Gardens (F-17) and Ministry of Interior Cooperative Housing Scheme (G-16). We will provide more information on these housing schemes in our next articles.